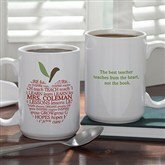 Review this collection of teacher appreciation quotes to find the perfect quote to express your appreciation for those called into the noble profession of teaching. My mother taught the 2nd-4th graders for many years in a different school district from where I attended school. I always wished that my mother would have been my teacher because she had such a knack of making learning interesting and fun for her students. She always went the extra mile. She would teach about different cultures by bringing in the food and art of that culture in engage the children. She had some of the most beautiful bulletin boards that were truly a work of art. This page of my website is dedicated to my mother and all of the other great teachers who sparked the curiosity in a child to make them a life-long learner. I can truly say that my mother sparked that quest to learn that remains with me even to this day and I’m almost 60 years old. 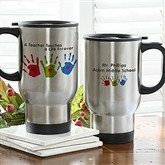 Have you ever wanted to let your current or previous teacher know how grateful you are for all that they have done for you? 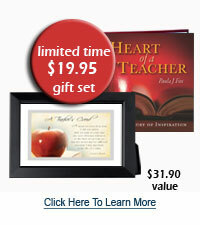 Now you can, create a FREE tribute your teacher. in the condition of continually asking questions." The purpose of education is to enlighten the student as to how to use their own mind, rather than to fill it with facts for a test. Also available in a: Key Ring, Note Cards, and a Mug. More important than the curriculum is the question of the methods of teaching and the spirit in which the teaching is given. We teach what we like to learn and the reason many people go into teaching is vicariously to re-experience the primary joy experienced the first time they learned something they loved. opens a mind, and touches a heart." Also available in a: Treat Jar, Tote Bag, and a Mouse Pad. A successful teacher can create a never ending legacy for generations to come. because I made a difference in the life of a child." We didn't go into teaching to get rich, but to enrich others. Teachers are unique problem solvers by character, temperament, and resilience. Teachers cannot be manufactured. I've come to the frightening conclusion that I am the decisive element in the classroom. It's my daily mood that makes the weather. As a teacher, I possess a tremendous power to make a child's life miserable or joyous. I can be a tool of torture or an instrument of inspiration. I can humiliate or humor, hurt or heal. In all situations, it is my response that decides whether a crisis will be escalated or de-escalated and a child humanized or de-humanized. "Some hacker from an obscure university in China ate my homework." ~ Lily Tomlin as "Edith Ann"
As long as teachers give test there will always be prayer in schools. A cross-eyed teacher can keep twice the number of children in order better than any other teacher, because the pupils do not know who she's looking at. You will notice that most of the advice to teachers comes from Robert John Meehan. His insight into the heart and soul of both teacher and student tugs at readers' emotions like few writers can. His depth of experience as a teacher in some of the nation's most difficult schools over a period of four decades is deeply embedded in each of his selections of poetry. His ability to share the joy, sorrows, and at times, the horror of teaching in today's inner city schools is brought to the forefront in each of the poems included in his The Teacher's Journey. Your career as a teacher is going to fill a large part of your life. The only way to be a truly satisfied teacher is to do it with passion and vigor. Culturally relevant teaching content is essential to engaging today's young people in the urban classroom. We must shift the focus of our classrooms from obedience to understanding. Be a reflective teacher. Honestly look at what you do from time to time. Evaluate the purpose of your role as a teacher. Some students can be extremely frustrating, distant and downright irritating, but they are children, and should be treated as such. Sharing our experiences, our successes, our failures, is a great way to help other teachers and to contribute with the educational reform. A key to growing as a teacher is to keep company only with teachers who uplift U, whose presence inspires U & whose dedication drives U. A teacher needs to have the vision and conviction that dreams can and will be achieved. Remember the current political climate is not a reflection of YOUR self worth. 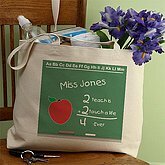 You can prosper as a teacher every day and in every way. Too many students don’t know what success feels like, thus failure is no longer scary or painful, it’s become the norm. Create a new norm. A good teacher must be able to empathize what it must be like to struggle to learn something that may have come so easily to them. We all need to go into the classroom believing our students can and will meet and often exceed our expectations. We should each day in the classroom teach as though that day is the one by which our students shall remember us. It shouldn't matter how slowly a child learns as long as we are encouraging them not to stop. Teachers must create an environment for students where their past failures are irrelevant to the learning occurring in their classrooms. Every day that you teach you have two options: be focused, passionate and caring, or to be focused, passionate and caring. Perseverance is the hard work you do in the classroom after you get tired of doing the hard work you already did. Children need to be challenged and pushed, not to the point where they give up but to the point where they think, "Wow, look at me go! " When you wish to instruct, be brief; that men's [children's] minds take in quickly what you say, learn its lesson, and retain it faithfully. Every word that is unnecessary only pours over the side of a brimming mind. Watch this inspiring video with the "Heart of a Teacher" poem. 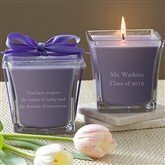 What a lovely tribute to a teacher! It's all about teaching the CHILD." 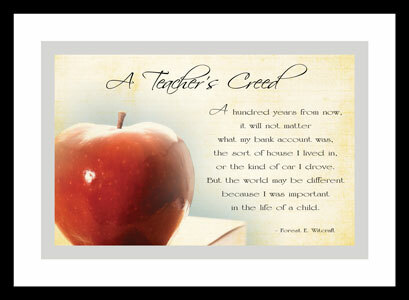 Whether you have children in school now or you're a "grown-up" who wants to send a thank-you gift to an influential teacher from your past, Heart of a Teacher Poem, DVD, and Teacher's Creed Plaque makes a wonderful, unique gift for educators. Teacher's Creed: A hundred years from now, it will not matter what kind of car I drove, what kind of house I lived in, how much money I had in the bank...but the world may be a better place because I made a difference in the life of a child. The road to freedom, here and everywhere, begins in the classroom. and the dreams of tomorrow." Seldom will you find a person happy with their successes in life but who can't name a teacher that inspired them along the way. Think for a moment about the people who have inspired you most in your life. Chances are, one of them was a teacher. Children are like cement. Whatever falls on them makes an impression. The teachers who get "burned out" are not the ones who are constantly learning, which can be exhilarating, but those who feel they must stay in control and ahead of the students at all times. To be a success in the classroom, a student's attitude is equally as important as his ability. When we strive to become better teachers than we are, everyone in our classroom becomes better too. If a strong parent is lacking to demand excellence and instill them with a desire to get better in everything they do, then teachers must fill that role. The teacher’s demonstrated attitude of respect and empathy can be a significant factor in successfully working with challenging students. Take away art, music and sports and you take away the one hook for many students that keeps them motivated and involved. "A teacher touches a life forever." Also available as a: Tote Bag, Mug, Mouse Pad, and Note Cards. If your actions inspire children to dream more, learn more, do more and become more, you are indeed worthy of the title "Teacher." Teach as if what you are doing makes a difference. It does. True teachers illuminate the path to achievement, believing the best way to predict a child's future is to help create it. True teachers rise to the top not by chance but through passion and purpose. There is no challenge too great for a teacher who has the will and heart to make it happen. Twenty years from now, your name may be forgotten...but the world will be a better place because you made a difference as a teacher. The strength of our teaching lies in the depth of our convictions and the integrity of our goals. As you know I'm a big fan of inspirational quotes. 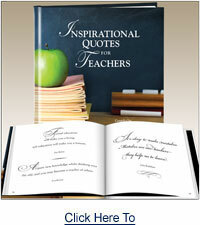 This book contains 130 inspirational quotes for teachers. Below is a sampling of a few of them. The greatest gift that you can give to another is knowledge, for knowledge is power—power to build and to dream. What you can envision in your mind you can achieve. Doctor's mistakes are in the cemetery and lawyers' mistakes are in prison, teachers' mistakes get elected. If a seed of a lettuce will not grow, we do not blame the lettuce. Instead, the fault lies with us for not having nourished the seed properly. I've seen and met angels wearing the disguise of ordinary people living ordinary lives. for sharing your knowledge in so many ways. Why else would a teacher take a crappy salary, really long hours and enduring stress to teach children unless they really loved to do it? Many reformers have foolishly accepted at face value that teachers in lower income schools are less effective. They couldn't be more wrong. Republicans fear caps on CEO pay/bonuses will drain talent from those jobs. Shouldn't they have same fears about slashing teacher comp and pay? For most of us teaching is not just what earns our paycheck. Teaching is what we were put on earth to do. I choose to believe that teaching the least desired is the most noble choice of all. Where your talents and the needs of your students meet there lies your calling as a teacher. I choose to believe that teaching the least desired children is the most noble choice of all. You can't really teach a kid anything: you can only show him the way and motivate him to learn it himself. all in the name of helping kids to read and write." Children are born addicted to learning. High-stakes assessments are drumming the love of learning out of kids. Shouldn't we be as concerned as to what the student thinks as we are to what pat answer he puts on a test? I'm willing to wager that not one of our students' dreams include being proficient on a standardized test. Demanding that students test well in the absence of appropriate resources is disheartening for teachers and disastrous for students. Our vision of teaching often becomes blurred by the restraints of standardized tests, administrative burdens, parental complaints and lack of support. Authentic student achievement cannot be measured by test scores but in the small day to day moments of their students’ individual triumphs. It's tragic that we are mandated to turn so many eager young learners into frustrated test performers. A truly special teacher is very wise, and sees tomorrow in every child's eyes. The highest respect should go to those teachers who let their actions rise above other teachers' excuses. The greatest sign of a success for a teacher, is to be able to say, "The children are now working as if I did not exist". A gifted teacher is not only prepared to meet the needs of today's child, but is also prepared to see the tomorrow in every child's eyes. A well prepared and engaging teacher is a catalyst... a spark that creates the desire to learn in our students. A saint is one who makes goodness attractive. Surely, a great teacher does the same thing for education. The best teacher of children, in brief, is one who is essentially childlike. Good teaching is one-forth preparation and three-fourths theater.